Click on a player to see current stats! No Tryouts - First Official Day of practice is March 4th. Practices are Monday-Friday from 3:05p - 5p on the OHHS track. Oak Hills Athletics would like to thank the Duke Energy Foundation for the $1000 grant awarded to us for our OH track programs. We appreciate the support that the Foundation gives to Oak Hills athletes and community! 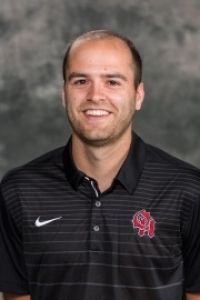 Oak Hills names Scott Kinkley head girls' track coach. Coach Kinkley has been teaching history and coaching track at Oak Hills for three years. Coach Kinkley also competed in track and field at the college level as a high jumper for The Ohio State Buckeyes.